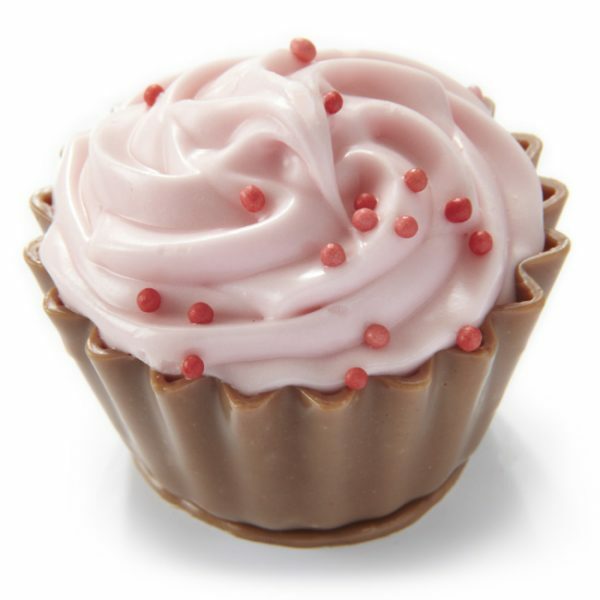 Milk chocolate cup, filled with strawberry fondant and topped with strawberry cream. Milk, Gluten (Wheat). May also contain traces of Nuts, Soya.